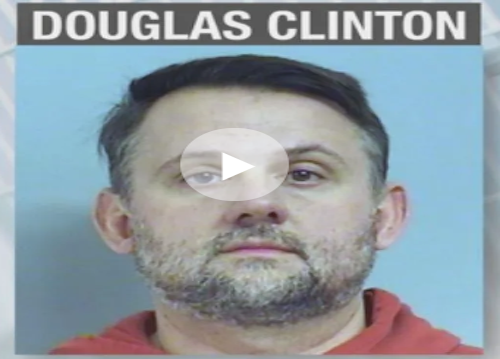 Douglas Alan Clinton, a missionary in Oklahoma, USA has been arrested and charged with three counts of child sexual abuse. He was arrested Tuesday, January 22. Court documents say one of the children disclosed Clinton had touched her while she was sleeping and when she tried to get away, he pulled her back. “The 13-year-old girl actually disclosed him climbing into bed with her and touching them inappropriately,” said Kraft. Clinton’s attorney says they deny all charges. “I represent Doug Clinton and we categorically and emphatically deny these charges. Doug is a missionary, a good husband, and a good father. While Doug and his family are devastated by this turn of events, these are false allegations and we are looking forward to fighting them in court and clearing his good name,” said attorney Rob Henson. Clinton was released on a $150,000 bond but Tulsa Police say their investigation is ongoing.